Latin Fantasy C.C. 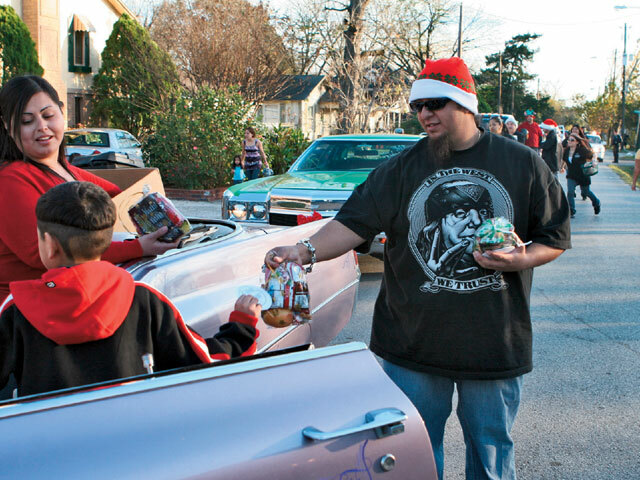 'S 16th Annual Toy Delivery Drive Brings Christmas Joy To Houston, Texas. 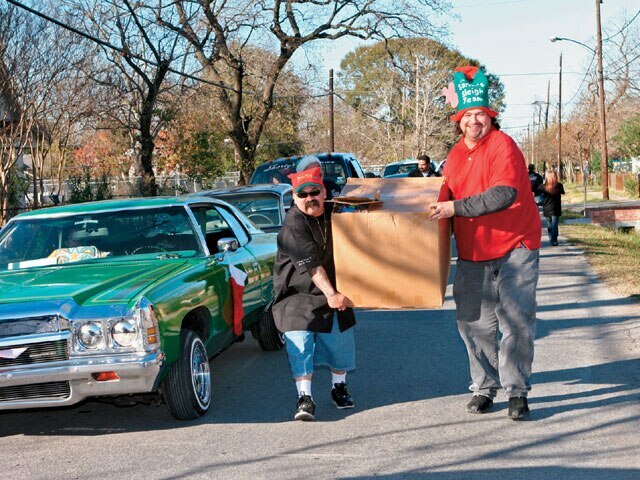 Para El BarrioThe world-famous “Shorty” Villareal of Shorty’s Hydraulics of Houston, Texas, and Latin Fantasy Car Club celebrated Christmas with their 16th annual Jugetes Para El Barrio Christmas day toy delivery drive. Latin Fantasy C.C. and Shorty’s Hydraulics throw local car shows to raise money for a good cause. 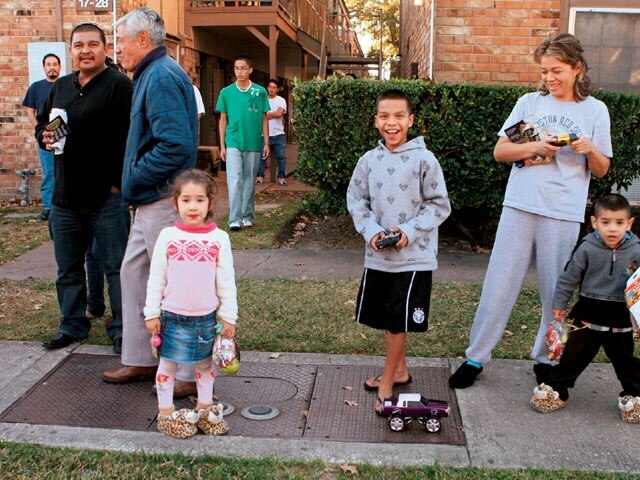 Every year, Shorty raises up to five “Gs” to purchase all kinds of toys for the less fortunate. I live in California and travel back and forth to visit my family and daughter in Houston, and Christmas is one of my favorite times to visit the Lone Star State. I get to spend time with my loved ones and I especially look forward to waking up early on Christmas day to deliver toys to low income barrios with the homies of Latin Fantasy C.C. After a late night with the familia on Christmas Eve, I hit the couch for a few hours before I’m awoken by a load alarm and I know that it’s time to get my stuff together to hook up with the Latin Fantasy team and get started on that cold day in “Chuca’s” Cadillac convertible. 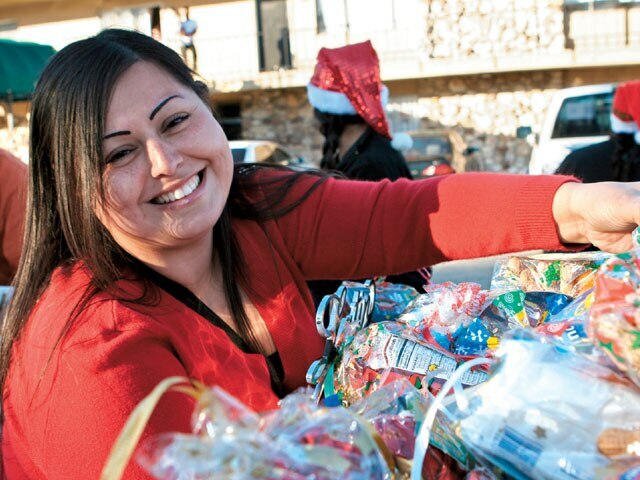 As I try to keep warm in the freezing weather, I’m warmed by the joy and smiles that are brought to the thousands of less fortunate kids when we give them toys and goodie bags containing fruit, candy, chips, pan dulce and copies of Lowrider Arte magazine. 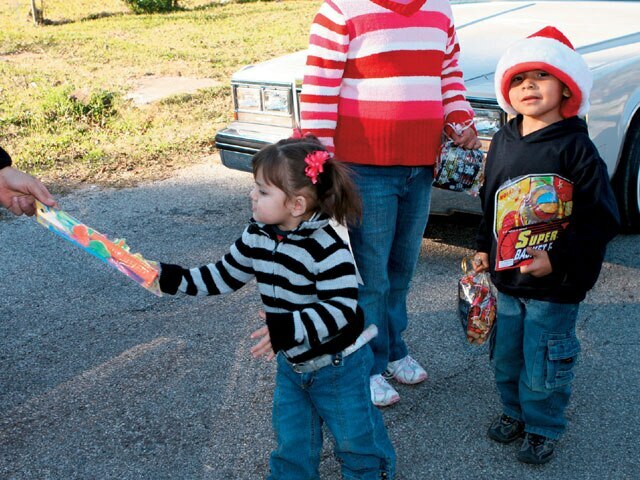 This was Chuco Rey’s first time delivering toys and he was well accepted by the kids with his red zoot suit. 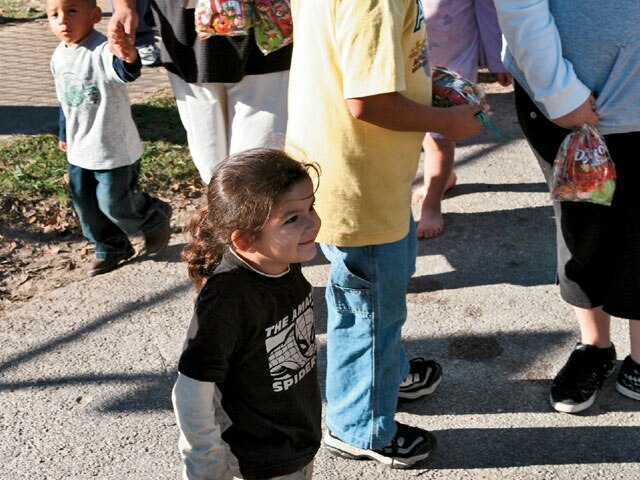 He smiled at the kids when they approached him for pictures. 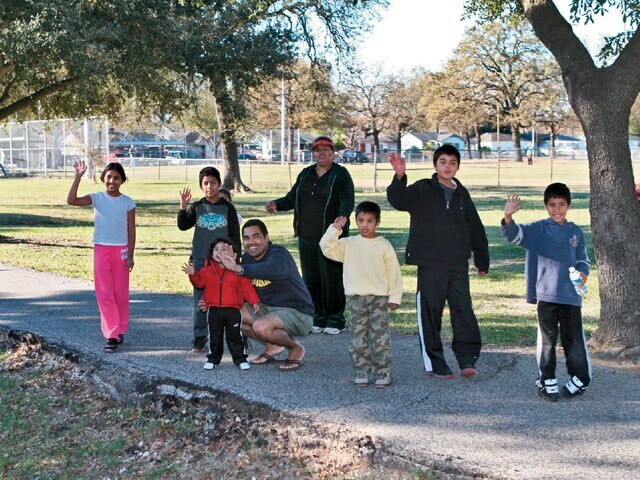 Right before the sun went down, we stopped to honor fallen Latin Fantasy member Jose Luis Rocha, who was a proud supporter of the toy delivery for the past five years. We showed our respect to him and his family by stopping by his grave and showing that he will never be forgotten. 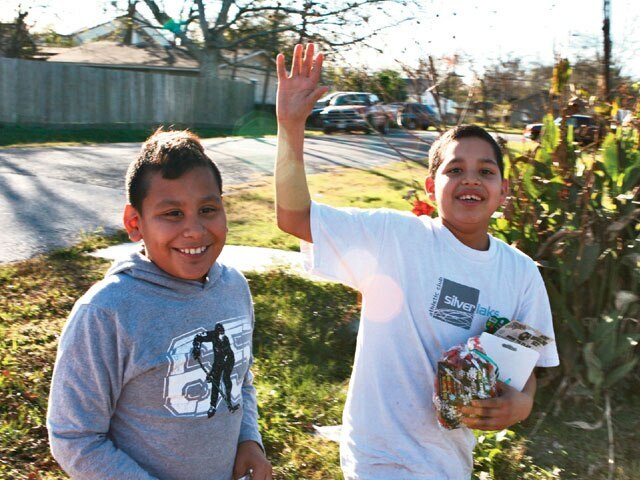 At the end of the day, we stopped to deliver a few goodie bags at local shelters. Latin Fantasy C.C. 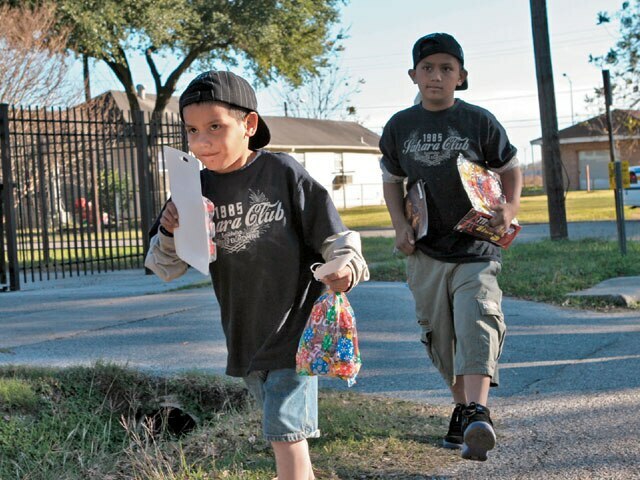 would like to thank its show supporters and sponsors WalMart, CRG, Reyes Produce, officer Ruben S. from Constable Precinct 6 and all of the car clubs that support the cause of delivering toys to the barrios of H-town. 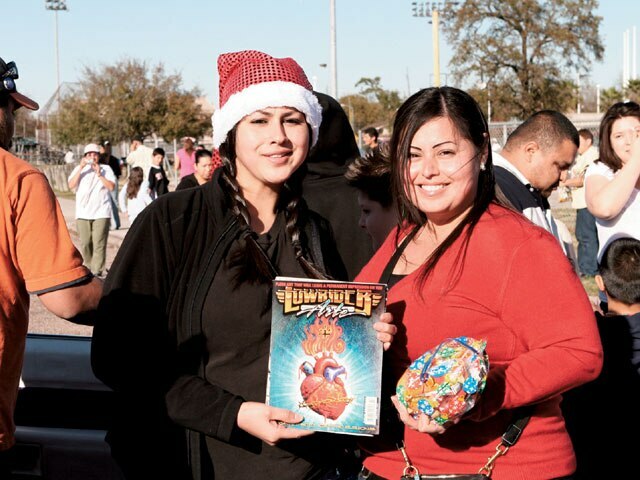 We also thank the Latin Fantasy members for spending the day delivering toys. 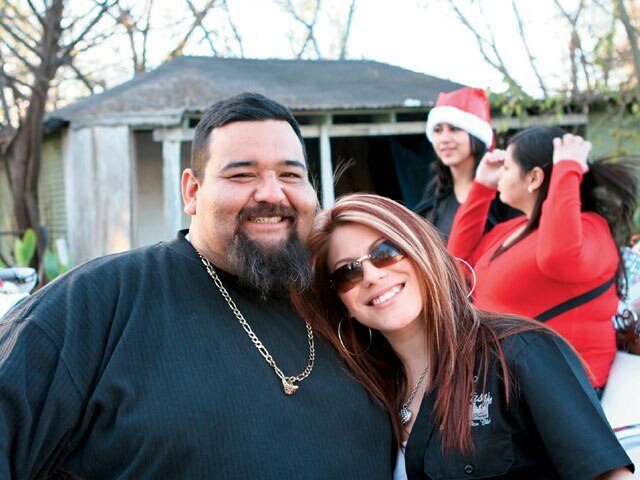 If you want to bring joy to the less fortunate in Houston, show your support by attending the shows that are thrown yearly to raise money to purchase the toys that are given out on Christmas day.